I'm a big fan of MUA, i think it's a really good affordable brand and their heaven & earth palette is one of my all time favourites. This going for gold palette is (I'm sure you can guess) to celebrate the Olympics and the 10 colours are inspired by bronze, silver and gold. I like the new look of this palette with the square pans instead of the usual circular ones, it feels like you're getting a lot more product. Unfortunately i find this palette to be very hit and miss with colour payoff. The rich golds and bronze are highly pigmented and you only need a little on your brush to go a long way, whereas with the lighter shades you have to really work with them to even see a bit of colour which is really disappointing. But considering each eye shadow is only 40p and 7 out of ten are lovely it makes this palette worth it. 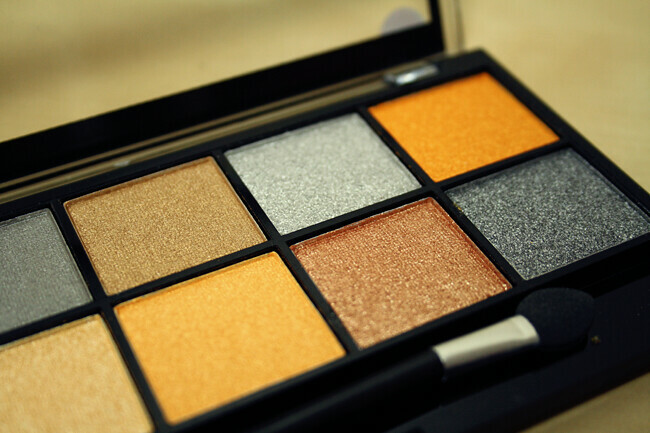 Have you tried these eye shadows? What do you think? Despite hearing so many good things, I've not yet tried any MUA products. I tell a lie... my Mum bought one of their nail polishes and I had a go with that, but apart from that! 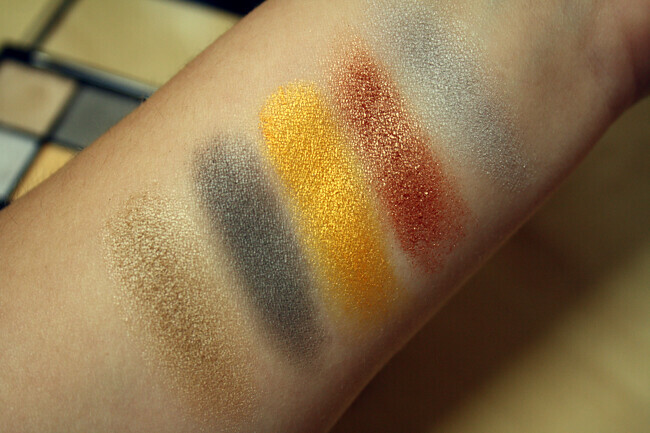 I really like the look of some of the gold/bronze shades in this palette, and like you say - for the price you can't really go wrong. Oh, wow, those metallic shades are lovely! And £4 is such a bargain, too. If only I could get them here in Aus, damn! Look at that gold! Its nice! 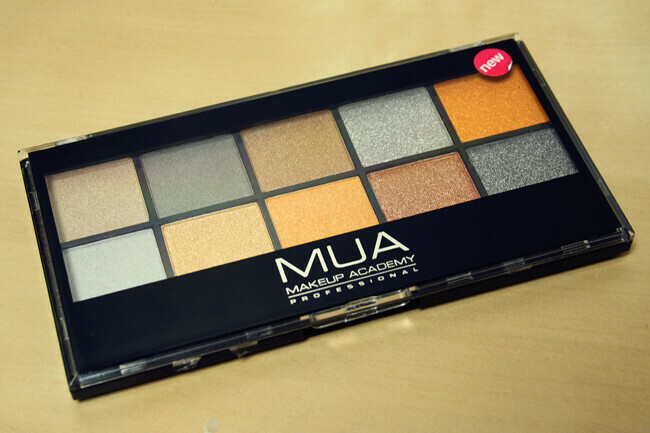 I need to get on the MUA bandwagon someday! 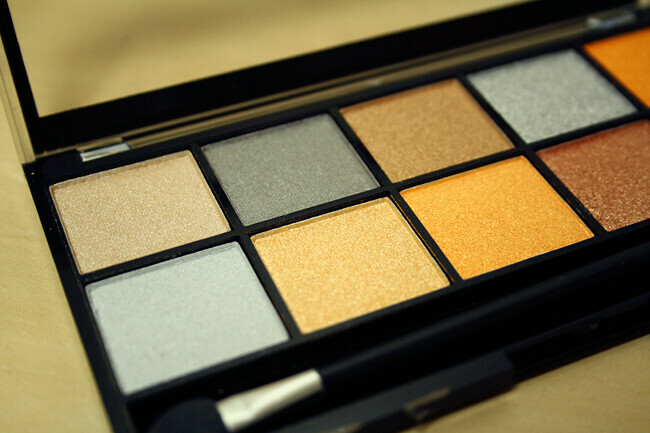 I really want to buy this palette today! Just done a H&M haul! I love the colours! I think a lunchtime buy is calling!